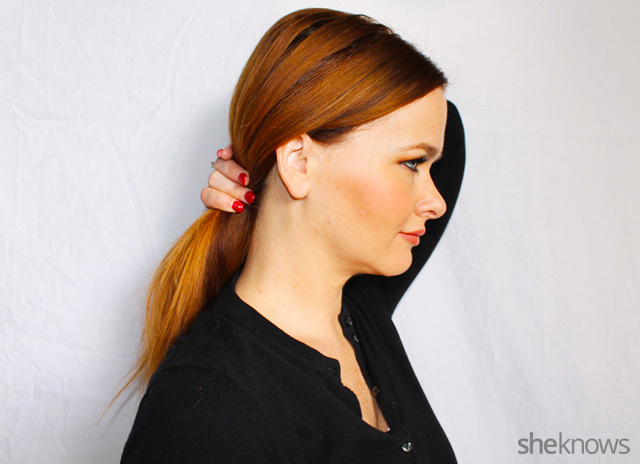 Tuck one side behind the ear for a cute finished look. 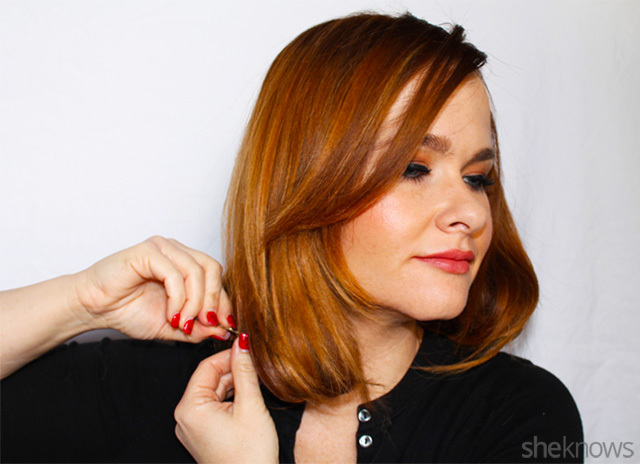 Begin by separating hair into 3 sections and clipping each section. 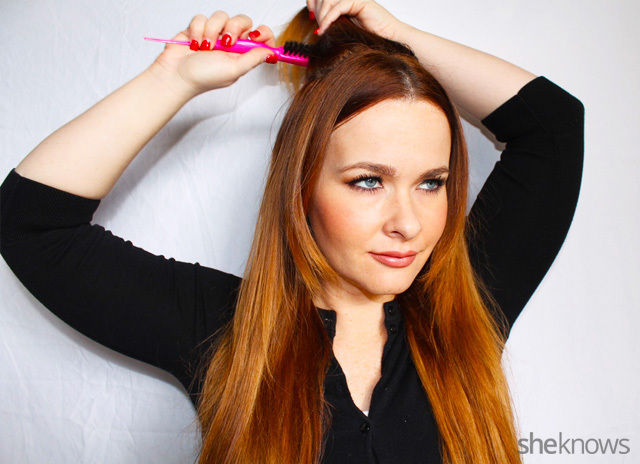 Take one section and hairspray at a downward angle to smooth flyaways. 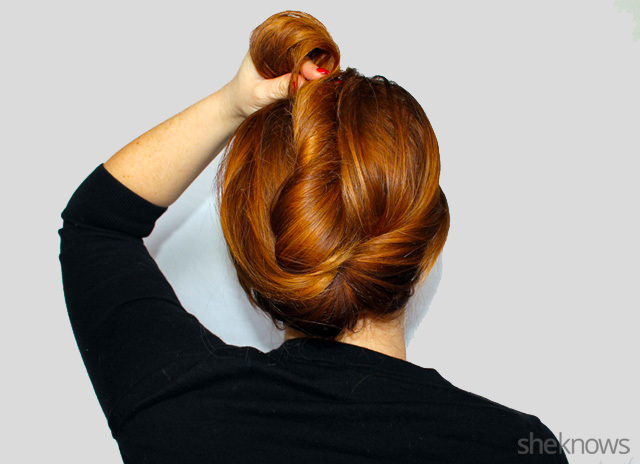 Twist the first section of hair and bobby pin at the bottom. Don’t let it go. 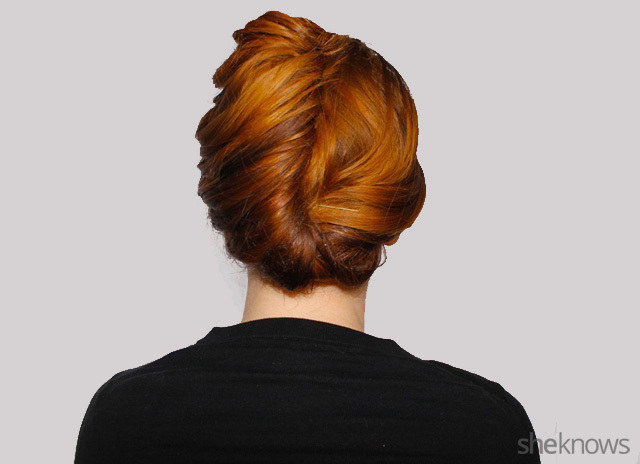 Starting at the bobby pin, roll hair up like a cinnamon roll. 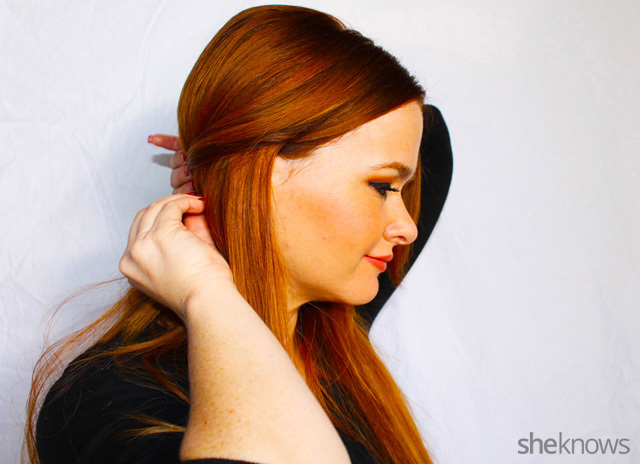 Bobby pin the rolled hair into place right above your shoulders. 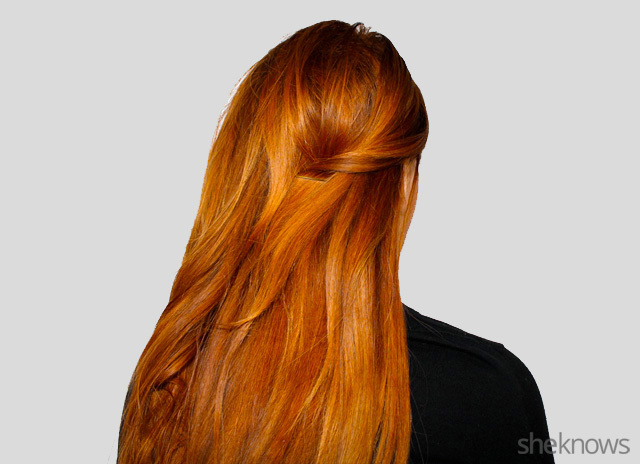 You may need a hair clip to hold this section in place while you begin the next section. 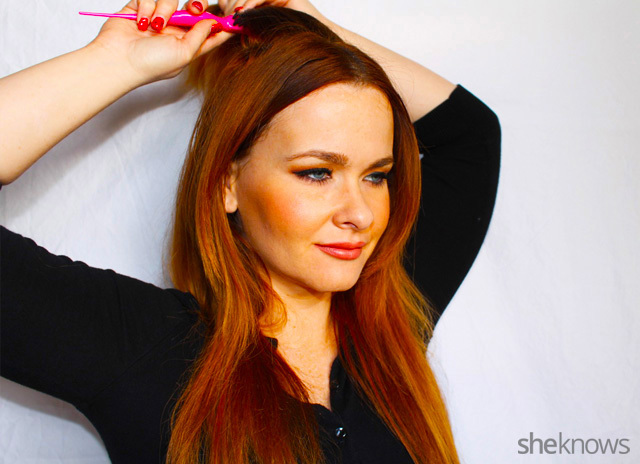 (TIP: Be sure to hide ALL bobby pins underneath hair so you can’t see any). Continue with next two sections of hair. Once all rolled sections are pinned up, use a handheld mirror and take a look at the back. Connect all three sections with bobby pins so there are no gaps between sections. 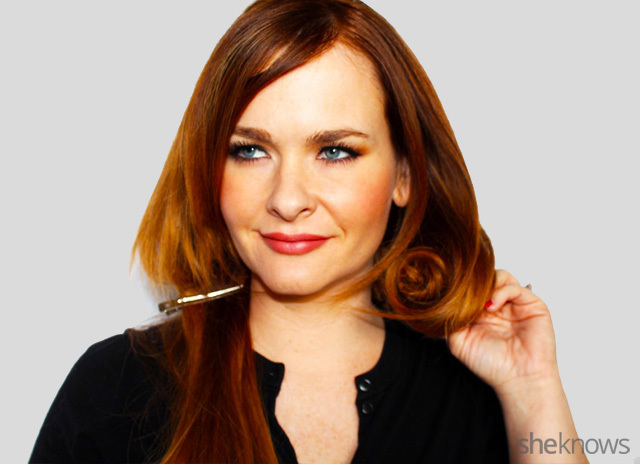 Use hairspray to smooth the bottom of each rolled section (you want to camouflage any stray hairs so your hair looks even all the way across). 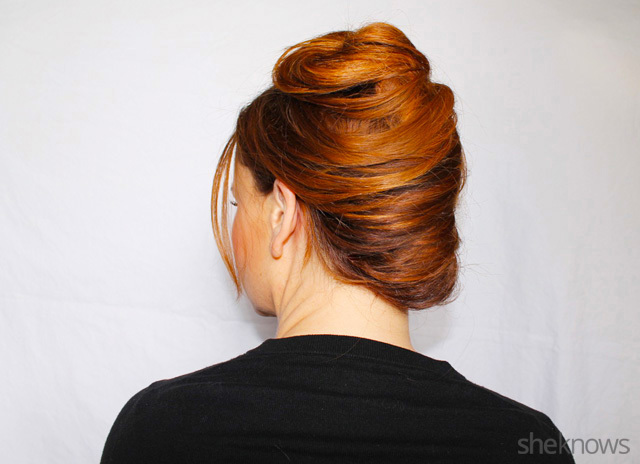 Backcomb the crown of your hair and spray in place. Bobby pin one side of your hair back low. Make sure it’s even with your earlobe. 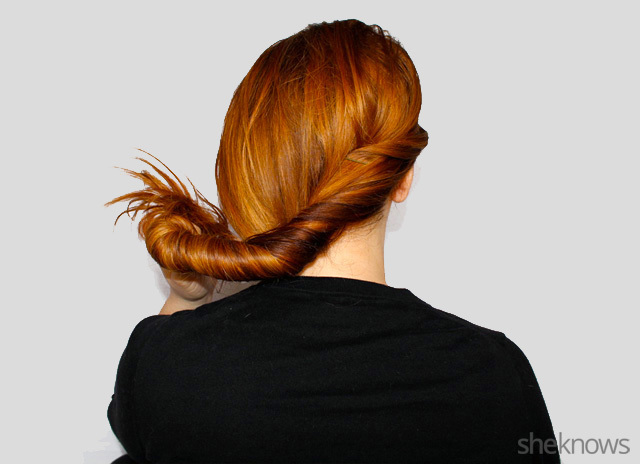 Gather all hair and twist up against the back of your head. Bobby pin the twisted portion as you go up. 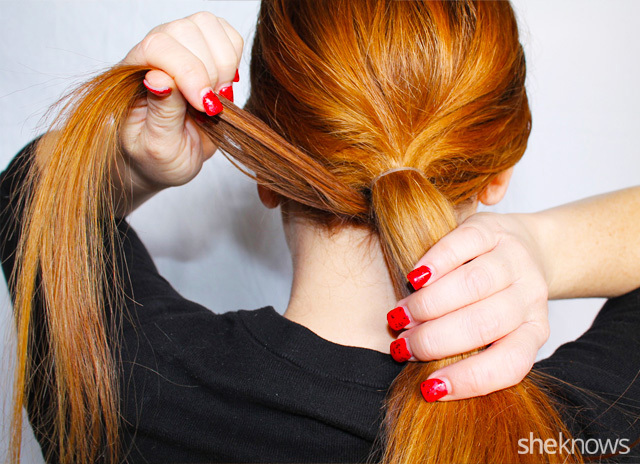 Spread the twisted, pinned hair so that it lays open (use more bobby pins if needed). 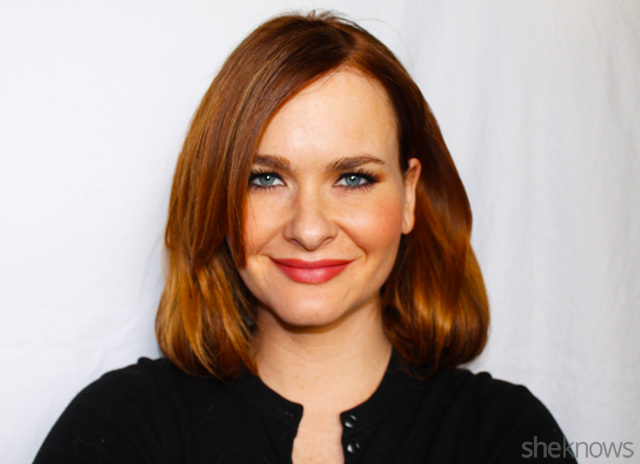 You can pull a few face-framing pieces down around your face for a soft look or keep it all back for a more sophisticated look. 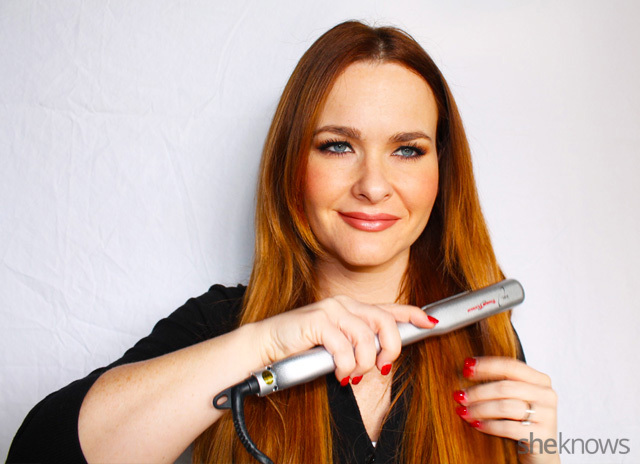 Part your hair down the middle and completely flat iron your hair. Next, take a backcombing brush and tease the crown of your head. 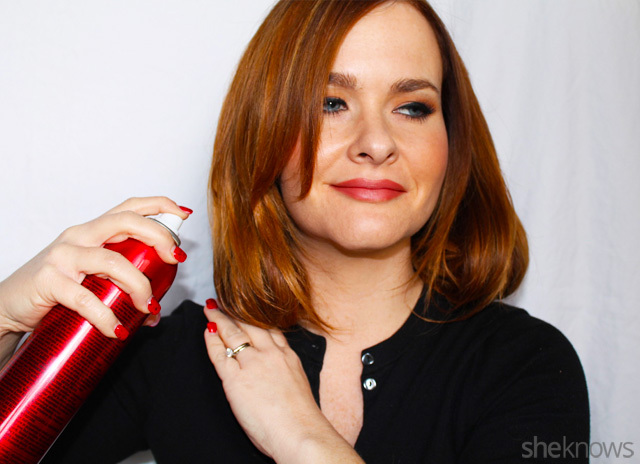 Smooth all flyaways and lightly spray hairspray around the top of your hair. 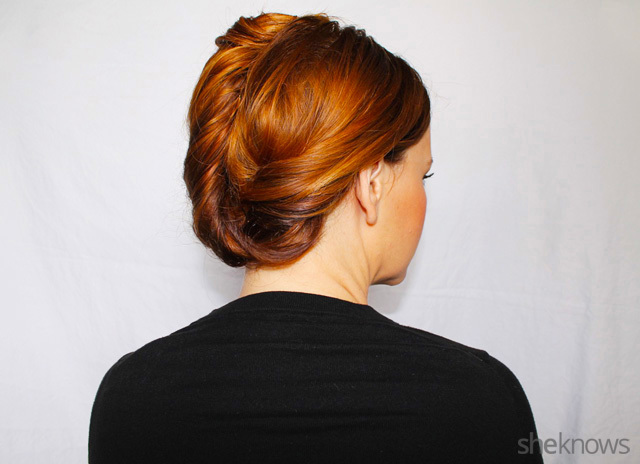 Gather all your hair to the nape of your neck and tie it off into a low ponytail. 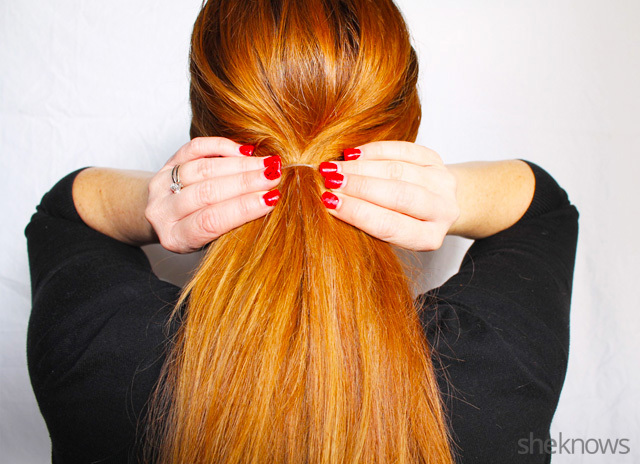 Pull the ponytail tight to get it centered where you want it. 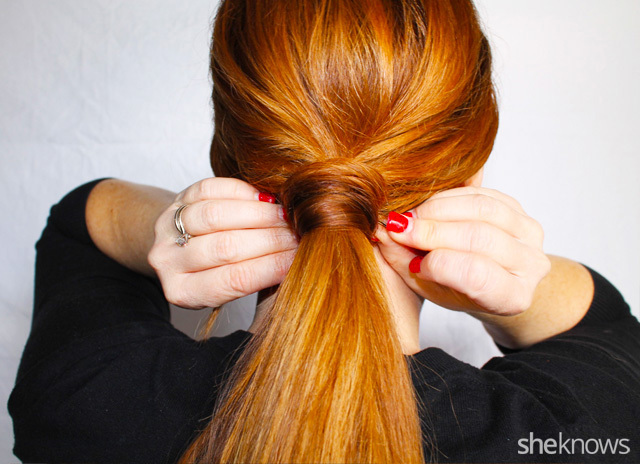 Pull out a small portion of hair from under the ponytail and wrap it around the hair tie. This will cover the plastic tie for a more polished look. Bobby pin the end of the hair you just wrapped. 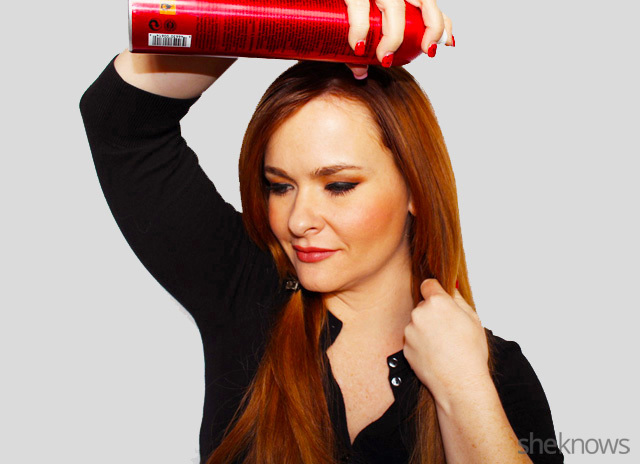 Use a bit more spray to keep hair in place and voila!